County Florist can create any letters, shapes, sprays, wreaths or bespoke work that you may see at any other florists. We pledge to buy fresh flowers in especially for your final tribute. Many people take our work home after the funeral and place the flowers on the lawn or in the garden. You can order your flowers direct with county florist Northampton, Tel; 01604 711 525 / 01604 461 666 Or Drop into the shop and speak to us. It is always a shop visit to discuss your wedding. We have Qualified professionals who can match any style of Flowers you require for your big day, we like to work with you on your budget and can supply a simple hand tied to a colorful field of flowers. At County Florists at this sad time we see Flowers as a celebration of the persons life and as a mark of respect we buy fresh flowers for every Funeral tribute and work to the highest standards on our tributes. It is always best to come into the shop and speak to our staff when ordering , if this is not possible we can take orders over the phone as our Florist staff are all Qualified professionals and can make any item required. At County Florist based in Northampton we pride ourselves in the supply of fresh Flowers. 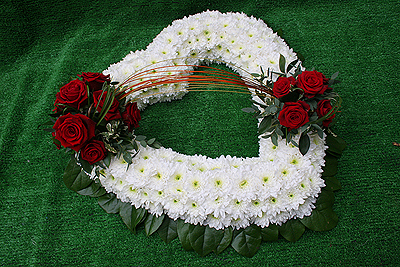 Flowers for Birthdays , Flowers for Weddings , Flowers for Funeral Tributes and Flowers for all Occasions. We work to and above the standards of Interflora and can make any style or theme of Floristry work as we have all qualified Florist staff. 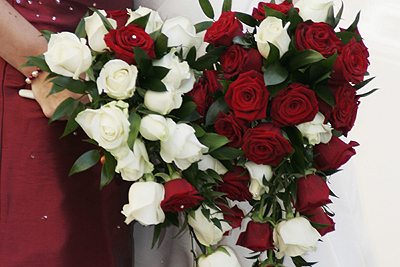 County Florist in Northampton are a leading Northampton Florist. The Florist staff are all professionally trained to make fresh Flower Bouquets, Fresh Flower Arrangements, Fresh Flowers for Funerals and Funeral tributes. County Florist in Northampton make Funeral Flowers to order Flowers for Funerals include, Traditional wreath ring, Floral Spray, Coffin or casket Spray, Floral Based Cross, Floral Loose cross, Flower Posey, Dad in Flowers, Mum in flowers, Nan in flowers, Pap in flowers, Grandma in flowers, Granddad in flowers, Mother in flowers, Father in flowers, Brother in flower, Sister in flowers, Aunt in flowers, Uncle in flowers, and all letters in flowers, we do the complete alphabet in flowers. County Florist in Northampton have been at the forefront of Northampton florists for many years working with all of the main funeral directors, including Abington Funeral Directors, Ann Bonham funeral directors, Richard Finch funeral directors, Hollowells funeral directors, Kevin Matthews funeral directors, Co-Op funeral directors, Wilkinsons funeral directors and all other Funeral Directors Nationwide. We deliver Flowers national and international Flower delivery. Local Delivery. We supply flowers for Weddings, wedding flowers, Bride flowers, Bridal bouquets , buttonholes, head piece, Button holes, Corsages, Cake Flowers, Serving table, Table arrangements. We supply to the work place, Hand tied Flowers, silk flowers to order, plants , planted Bowls. We supply Corporate Flowers on a weekly running contract to pubs, restaurants and offices. Gifts, birthday, anniversary and all celebration Flowers. Design provided by Timeware Software.